Sorry for all the tag posts over this past week, but I have a serious backlog and I want to get that list looking a little bit less terrifiying! I was tagged in this fun post by Jenna @Bookmark Your Thoughts who is a super lovely blogger with a great blog! Check her out if you haven’t already! (she is on a small hitaus at the minute but I’m sure she’ll be back soon)! One. Name a cartoon that you love. 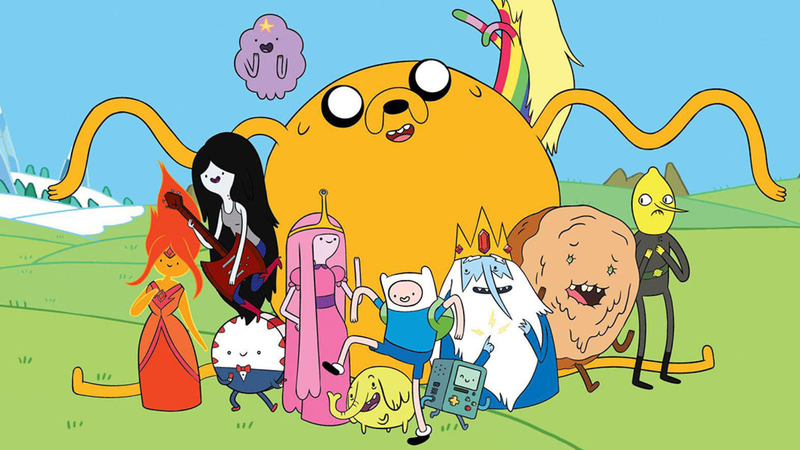 I’m not big into Anime or anything, but I do love Adventure Time! I really need to do some catching up on the series, but it’s just so funny and is the definition of easy watching! Two. What is your favourite song right now? Oh heck, what a question. I don’t listen to current music so I’m just going with my all time favourite song. Forget Her by Jeff Buckley. Three. What could you do for hours that isn’t reading? Watch YouTube… and I do! I could also watch Matt play video games for hours (and again, I do!) There’s something I really like about watching a person play video games, even the really gory violent ones. Four. What is something that you love to do that your followers would be surprised by? 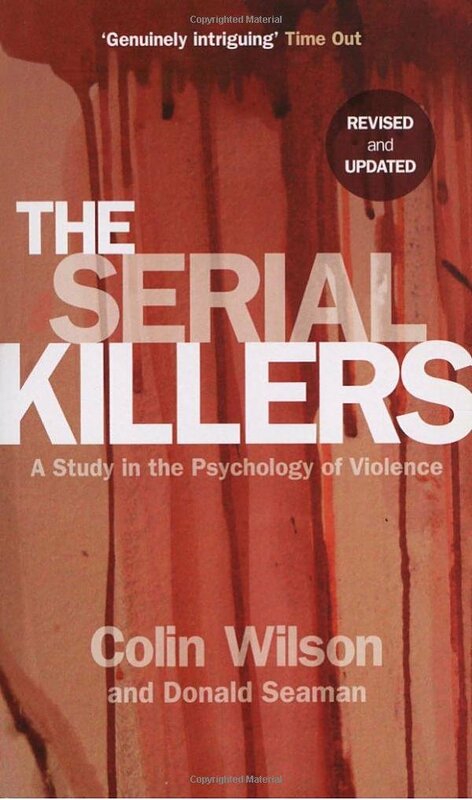 I don’t think this is surprising at all but I have an unhealthy obsession with researching serial killers and other such criminals. I spend a heck of a lot of my time reading up on them. My step sister or a friend (I can’t remember who) once made me do a quiz to see if I could name all the serial killers by just looking at a picture of their eyes, and I got them all right. Five. What is your favorite unnecessarily specific thing to learn about? This kind of ties into the last answer, but Jim Jones & People’s Temple. Cults really excite my morbid mind and People’s Temple is one of the craziest cults to have ever existed. 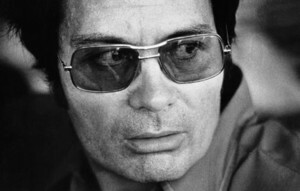 If you had to pick who was crazier out of People’s Temple and Charles Manson’s Family, it’s the Family all the way, but if you had to pick who was more crazy out of Jim Jones and Charles Manson, I think Jim Jones pips the post! He convinced / forced over 900 people to kill themselves!!! Six. What is something unusual that you know how to do? Literally nothing. I have no useful or unusual talents of any kind. I can, however, replicate Snow White’s singing voice pretty perfectly. Seven. Name something you made in the last year and show us if you can. I don’t make things. I haven’t an ounce of creativity in my body, so the only thing I can think of is this blog! Eight. What is your most recent personal project? Again, this blog is going to have to be the answer for this question, because going on a diet doesn’t really count! Nine. Tell us something that you think about often? My mind likes to wander from one thing to the other, to be honest. I don’t know if I could pick one specific thing. I think about my lovely boyfriend and dogs a lot though. Ten. Give us something that is your favorite. So I’m going to copy Jenna, who copied Jackie and split this into topics. Favourite BookTuber’s to watch: I only watch Hannah Tay when it comes to BookTubers. I use YouTube to watch beauty & gaming channels mostly. Favourite food: To cook, it would be any type of pasta dish. To eat, it’s sea food linguine. Eleven. Say the first thing that pops into your head. You caught me at a bad time for this question. I was listening to music with a long instrumental in it, so my head was going “da da da da da da” for ages, and then finally “wow, this is a longer instrumental than I realised”. So there we have it! Those are my “anything but books” answers. This tag is a load of fun for those of you who want to showcase something other than books on your book blog! I’m not going to tag anyone specifically for this one as I’ve already done two other tags this week, but if you want to have a go at it, consider yourself tagged! Previous postGiveaway! Less than 24 hours left to win The Fourth Monkey by J. D. Barker! I’d say that replicating Snow White voice is a pretty cool talent!! 🙂 Great tag! I love your answers! Pomegranates are amazing! They are just messy so I end up not buying them ha-ha. I want to hear your singing voice! I love to sing but I definitely cannot replicate Snow White…just sayin’…and thank you for the kind words! I’m officially back now! I’m posting 3 times a week and will go back to 4 eventually ha-ha! Glad to see you back! I always buy pre-prepared pomegranate so it’;s not so messy, otherwise I’d never buy it either haha. Ah, yes, I also love learning about mysteries and such! I’ve become sort of obsessed with unsolved mysteries and conspiracy theories and such! Cults are interesting as well, and I really want to watch some more documentaries about them because they’re so interesting! I just really want to know the mindset someone has to join one! I love all that stuff too! It’s all very interesting and sometimes completely bonkers! My nan actually joined a cult type religion when my mum was a young girl. It was violent but it was just a money grabbing scheme and made a lot of people lose their savings etc. My nan has a weak mind and she’s mentally ill so I guess she was really easy to prey on, and trick! I think lots of people with different mind-sets go into cults. Sometimes their mentally ill, and other times they are of completely right mind – it’s so strange! It makes me think – could I ever be pulled into a cult? But then I think I’m strong minded so I don’t think I could… but who knows how they get you? !